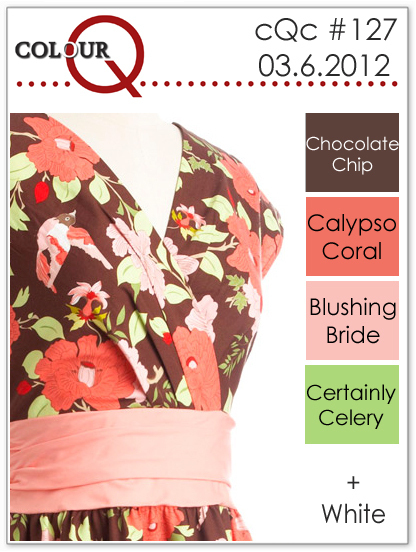 Happy Tuesday and welcome back for the latest colourQ challenge! We had so many fantastic entries last week, and all of us enjoyed stopping by to see what you created! 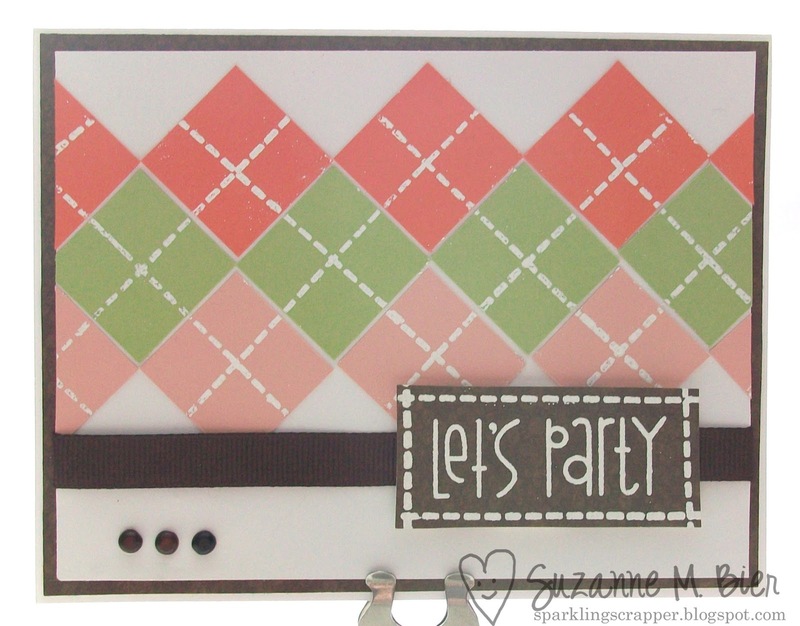 Supplies: card base, cardstock (Stampin’ Up! – Calypso Coral, Certainly Celery, Blushing Bride, Chocolate Chip), sentiment stamp (Paper Smooches – Word Salad), dotted line stamp (Paper Smooches – Santa Paws), white embossing powder, watermark ink (VersaMark), brads, ribbon. Flutter By Wednesday #193 – Spring! 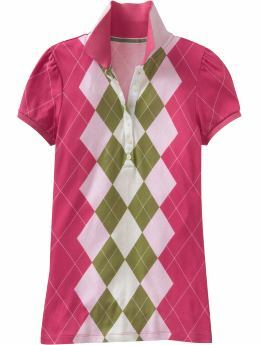 I love that argyle Suzanne.